Friends of Bees will have information on hand – where to get bee-friendly seedlings, actions you can take, pins, flyers and schedules of upcoming events, garden tours, plant sales and pollinator counting. If you wish to help spread the word, here is a poster you can download and print out. 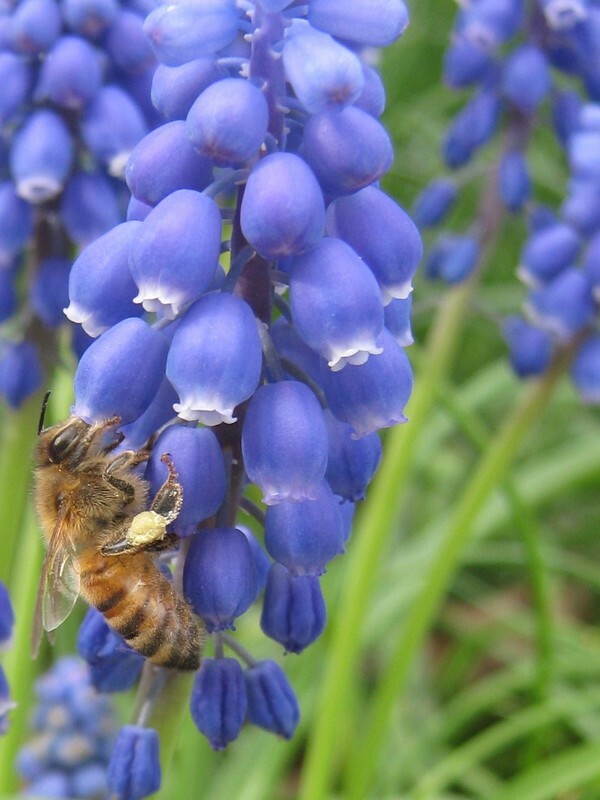 Please join the effort – We need bees and they need us! This entry was posted in Bees and tagged bees, Friends of Bees, Vanishing of the Bees, Watertown Library. Bookmark the permalink. Thank you for sharing all your good information about bees and how to help them. We have had bees here b/c it is all organic ground now, but the beekeeper went out of business last year and we’ve been unable to find another to keep bees here. Only 1/2 the hives died 2 winters ago, which we are told is actually very good compared to the usual 60-70% which die. Praying we can find someone who understands that organic surrounds are very helpful! Blessings! Thank you for sharing so much about honey bees! We have loved our bees for many years, but this year we can’t find someone to do hives. The man who did them up until last year retired and took his hives to sell, and we are so sad…We have organic land here and the bees thrived and there was much less hive death the last 2 years. I hope you keep getting out the word 🙂 Blessings! If you’re growing organically, you should have plenty of native bees. About 70% of native bee species nest in the ground, bumblebees like grassy clumps and old mouse nests, and the rest use stems and holes. Try to leave some bare sunny spaces for them and undisturbed corners. I’m planning to post more about native bees soon, but in the meantime I highly recommend xerces.org.